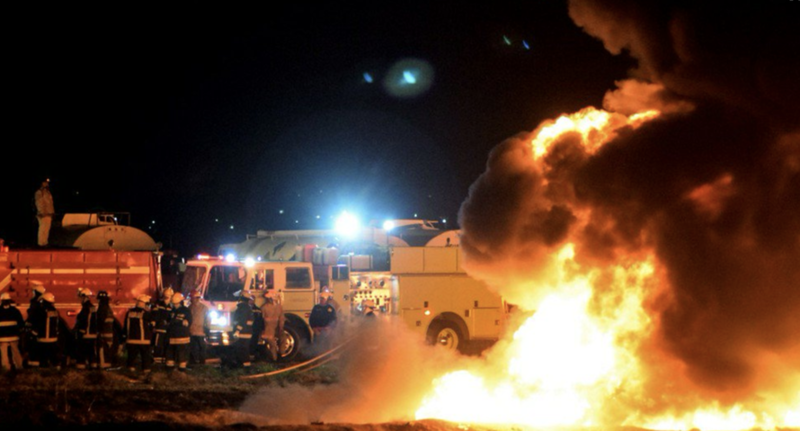 Police and rescue workers in the small Mexican town of Tlahuelilpan, just 60 miles outside Mexico City, are still sifting through a ghastly scene after a explosion at an illegal gasoline-pipeline tap created a giant fireball that burned at least 66 people alive and left dozens of others badly wounded by the flames, according to the Washington Post. 66 people have been confirmed dead, and another 85 were missing at last count. Witnesses described a field of charred contorted corpses as the victims tried in vain to put out the flames covering their bodies. Forensic experts working on counting the casualties were having trouble separating bodies from one another after they fell in heaps, perhaps a sign that people stumbled over one another as they struggled to get away from a geyser of gas that shot into the air in the moments before the explosion, per NBC News. The explosion occurred as hundreds of people gathered to steal gas from a duct breached by fuel thieves. The tragedy took place just weeks after newly inaugurated Mexican President Andres Manuel Lopez Obrador launched an offensive against gangs of fuel thieves who stole $3 billion in fuel from state-run energy firm Pemex during the first 10 months of the year. A staggering 12,581 dangerous illegal pipeline had been drilled in that time - a rate of roughly 42 per day. One man wept after explaining that he believed his 13-year-old son had perished in the fire. In a morning press conference, AMLO vowed to continue his campaign against fuel theft, and cited the explosion as an example of the very real human costs from this thievery. "We are going to eradicate that which not only causes material damages, it is not only what the nation loses by this illegal trade, this black market of fuel, but the risk, the danger, the loss of human lives" he said. 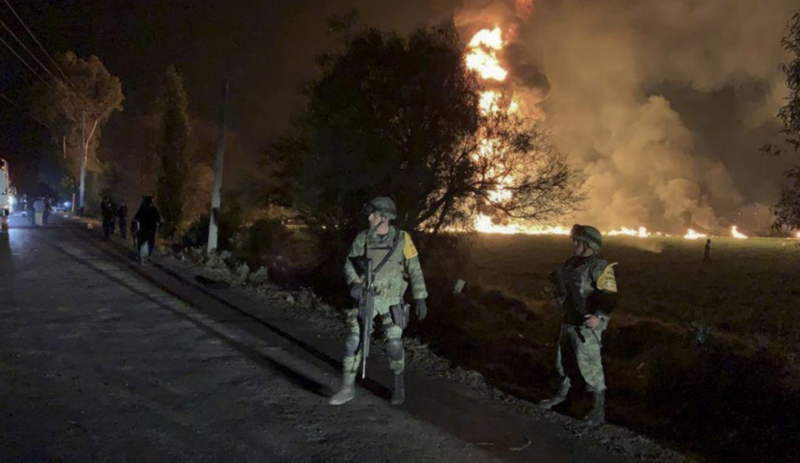 As part of the crackdown, AMLO has shuttered some pipelines and ordered fuel to be transported by truck - causing fuel shortages in some parts of the country - while more than 3,000 Mexican marines have been ordered to guard other pipelines.